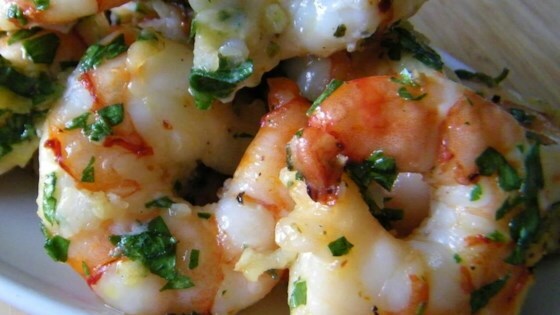 "If you like shrimp and LOVE garlic, I hope you give this fast and delicious recipe a try soon. Enjoy!" So tasty, and so simple. I also did not have caper brine, but used green olive juice instead. Rave reviews all around.